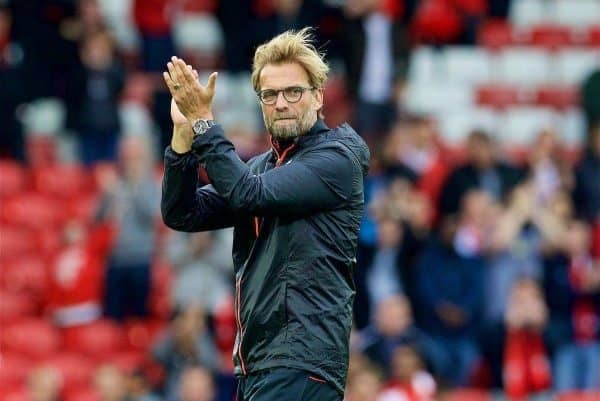 Liverpool manager Jurgen Klopp has been named the Premier League‘s Manager of the Month for September, once again emphasising a team effort. The German led his side to three consecutive league wins last month, defeating Leicester City, Chelsea and Hull City as they continued a fine start to 2016/17. Crystal Palace manager Alan Pardew was also up for the award, which Klopp attributed to the positive work of his squad and his backroom staff. “I went into the office of my coaches and said ‘we are Manager of the Month!’” he said on receiving the award at Melwood. “It’s better than not being in the race. In September we obviously had a few results and performances that were not too bad. “But actually, I don’t need personal prizes. It’s nice, but I prefer collecting points to personal prizes. “I was convinced about the potential of my boys and I don’t know where it could lead us to. “We are in a good way, but there are so many good teams in this league and so many difficult games for us, really great challenges for us that we have to be ready for. Two players central to Liverpool’s excellent September form were also up for awards, with Adam Lallana nominated for Player of the Month and Jordan Henderson vying for Goal of the Month. Lallana was trumped by Spurs’ former Reds target Son Heung-Min, with the South Korean becoming the first Asian player to win the award. However, Henderson was able to take home the Goal of the Month award for his emphatic curled effort against Chelsea, beating the outstretched Thibaut Courtois from 25 yards. “It’s definitely one of the best goals I’ve scored, if not the best,” he said, recalling his strike. “I took a good touch, looked up and just thought I’d have a go. 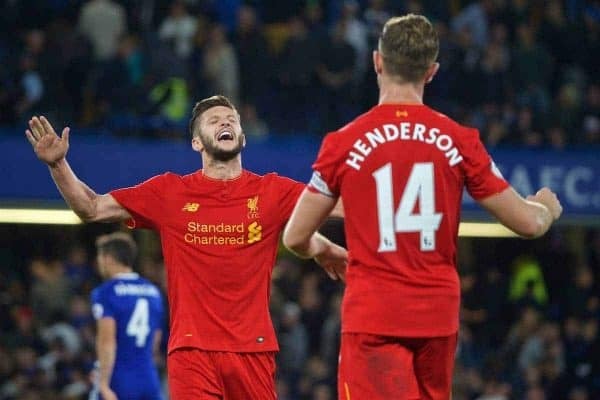 Henderson and Lallana have been key to Klopp’s system at Liverpool this season, and will continue to be throughout, as the Reds look to challenge for the Premier League title. While, as Klopp stressed, success on the pitch is more important than personal accolades, it certainly proves a marker of their form.